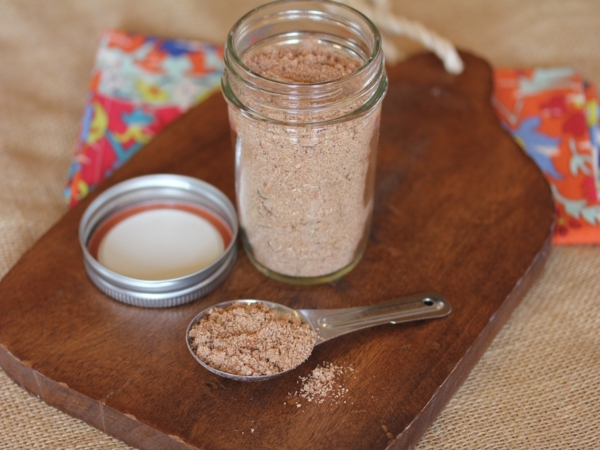 Homemade gluten free taco seasoning is so easy to make using basic pantry ingredients. Seasoning mixes were one of those things that surprised me when I first went gluten free. I had no idea so many of them contained wheat. There are a few out there that are gluten free, but I soon realized making my own at home was much safer for my family. And really they are easy and inexpensive to make at home, so why not make homemade. 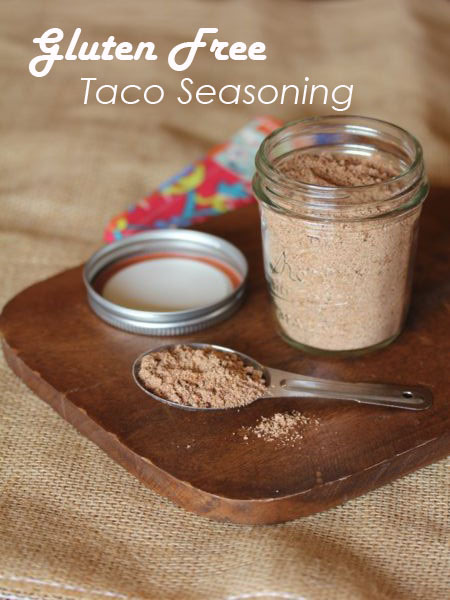 Today I am sharing my gluten free taco seasoning recipe. This is the same basic recipe for taco seasoning that I shared on my site a few years ago, but this is the large batch version instead of the single batch version. I like to make this in large batches and keep it in a jar in my cupboard. We eat a lot of mexican type foods since going gluten free, so taco seasoning is always a good thing to have on hand. Combine ingredients in a jar or container. Use 1 pound ground beef. Cook until browned and done. Drain off any fat. Add 3 tablespoons taco seasoning and 1/3 cup water. Cook over medium low until well combined and thickened. To change it up I also like to use 4 ounces tomato sauce in place of the water. It gives it a great flavor that my family loves. Sorry about that. I just fixed it. It should have been salt. I have been trying for a long time to get close to the packages you buy. Most of them have a little sugar and I found the sugar makes it closer what I was trying to copy. The same goes with the cornstarch. Most of them have some sort of thickening ingredient, so I added to cornstarch to copy that. Neither are necessary, but I found it makes it closer to what we liked in the store versions. This recipe looks great. Can’t wait to try it .